One of our strongest attributes is our wide coverage area. 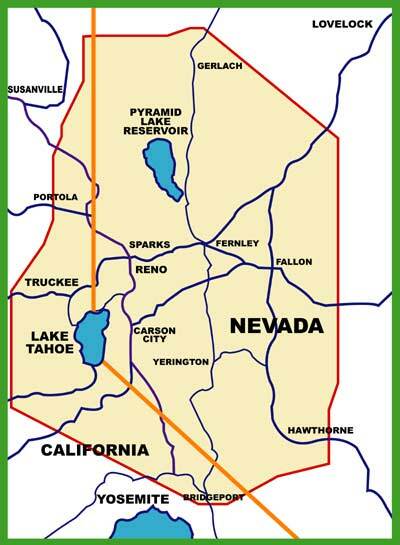 We serve a large portion of northern Nevada and California. See the detailed coverage area map below to learn just how widespread our services are. Please be patient as it may take a moment to load. We also cover other areas: North to Medford, West to San Francisco, South to Los Angeles and East to Salt Lake City upon request.